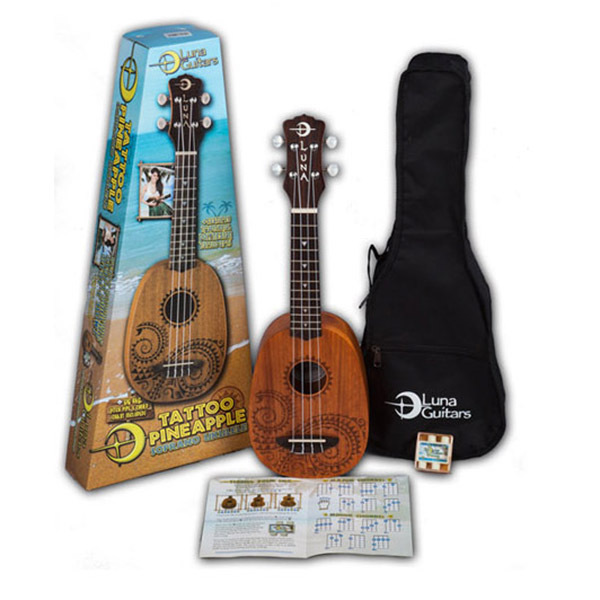 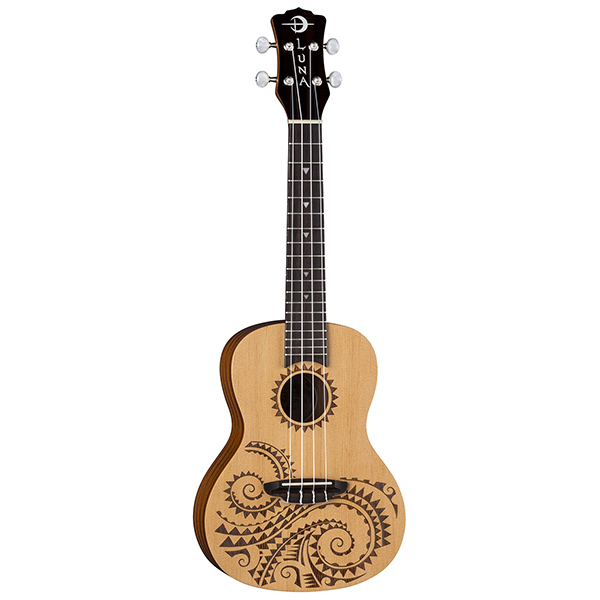 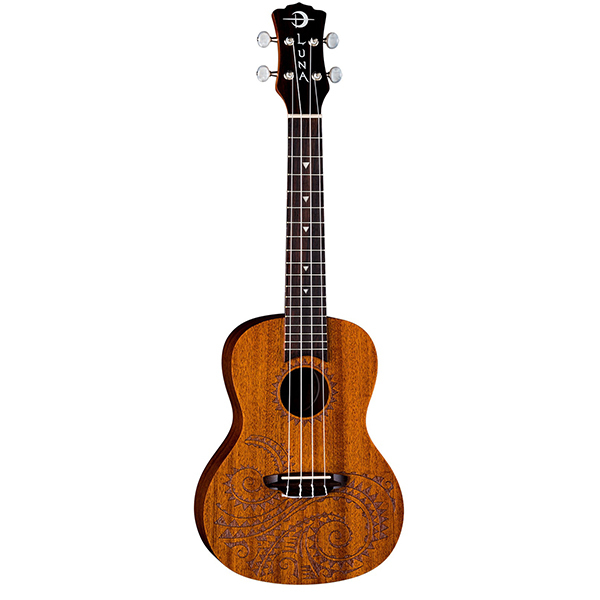 This traditional concert uke takes its design from traditional hawaiian body ornamentation. 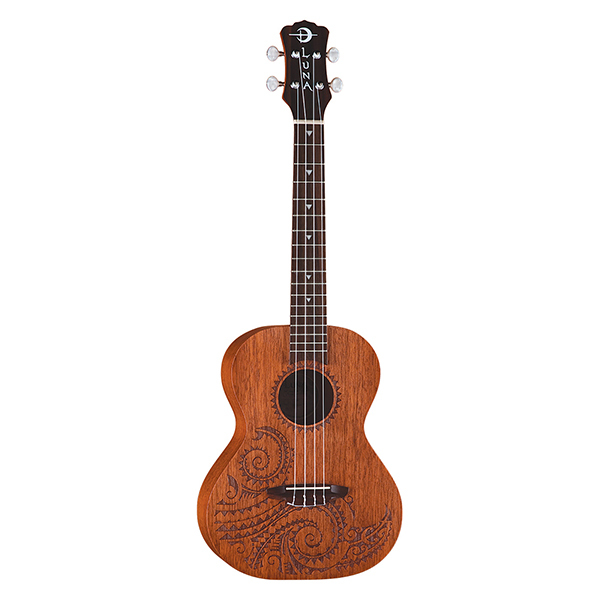 Those designs were monochromatic, tattooed in black against brown skin, with strongly geometric patterns, and many shapes and symbols inspired by the natural island world: stones, waves, fish, sharks, turtles, rain, sun, birds. 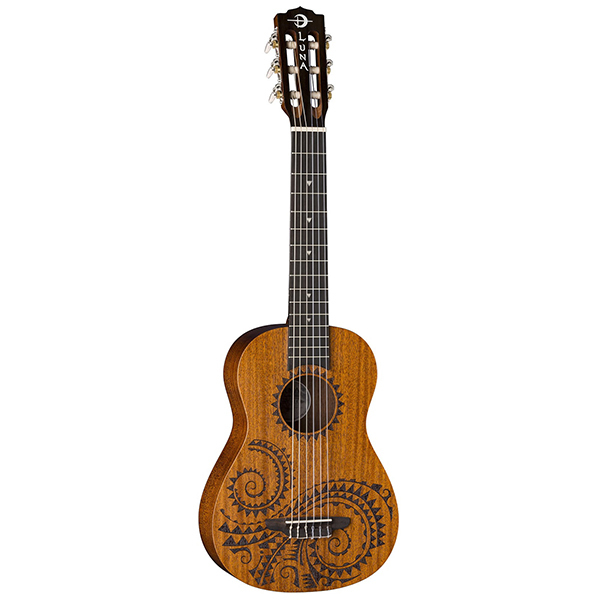 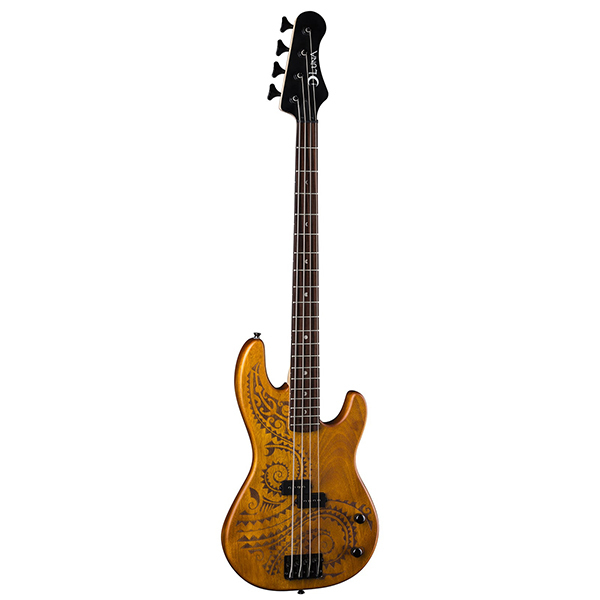 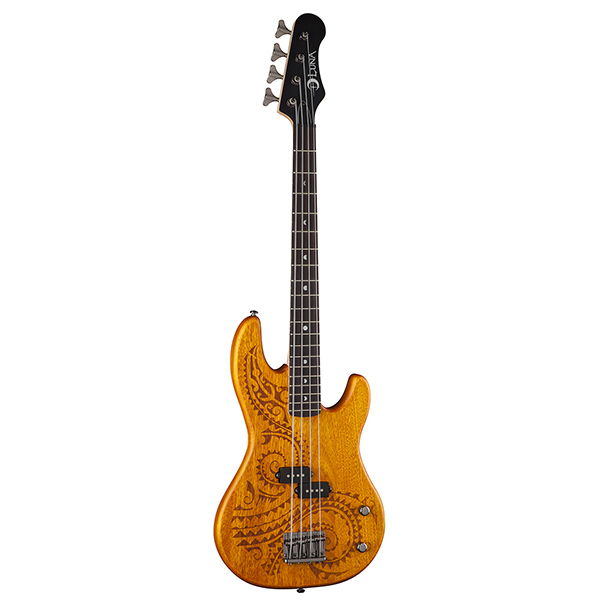 The design is primarily based on waves and sharks teeth which are also echoed as fret markers. 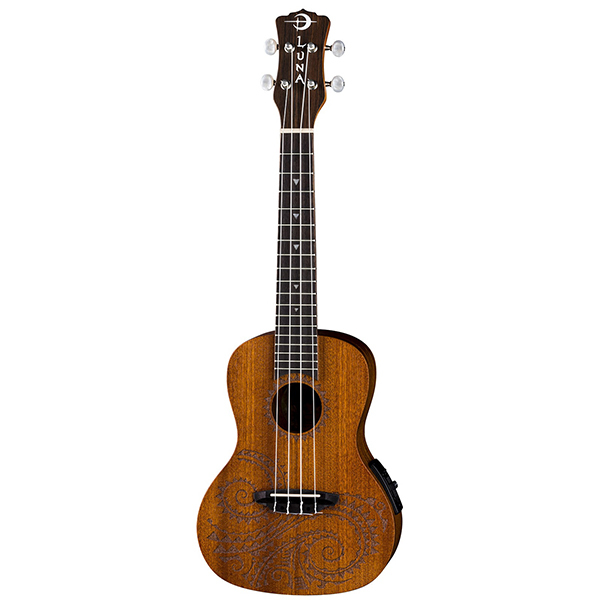 This concert Uke adds the advantage of an onboard preamp and boasts a clear, resonate sound both by virtue of its Concert body and Mahogany construction. 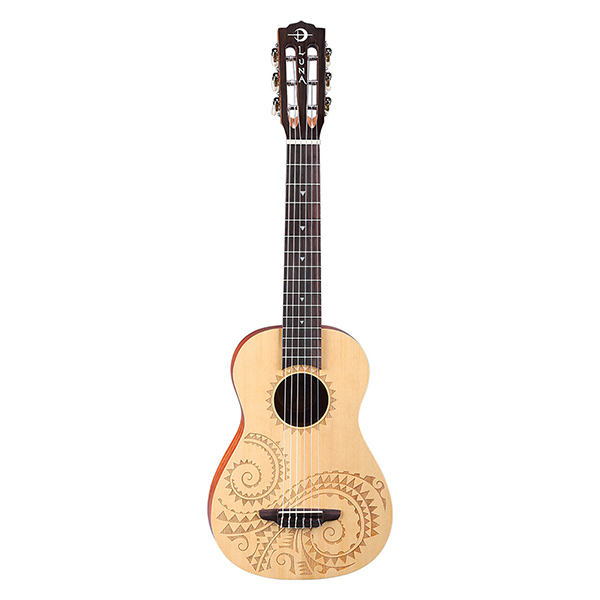 Beautiful sound - tremendous value.